A new farmer has joined the profession. And he comes from a far different, but usually similarly green-colored, field: the gridiron. Center Jason Brown recently left the NFL to (1) start a 1,000-acre farm in North Carolina without having any farming experience going into it, and (2) use the farm to grow food to feed the hungry. Details on his story in, among others, People, Business Insider, the Boston Globe and the Sporting News. Also on CBS News, above. 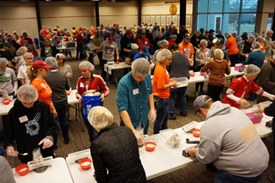 Organizers say CFAES’s Stop Hunger Now meal packaging event, held yesterday (Nov. 24) and attended by 300 students, staff and faculty, was a big success. Check out a slideshow. 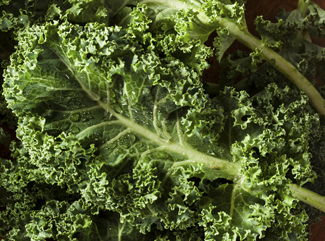 It’s got kale, it’s got bacon and it’s fabulous. The University of Toledo’s Patricia Relue speaks on “Bio-Based Products from Lignocellulosic Biomass: Sugars to Platform Molecules” from 1:50-2:45 p.m. on Tuesday, Nov. 25, in the autumn seminar series by CFAES’s Department of Food, Agricultural and Biological Engineering. 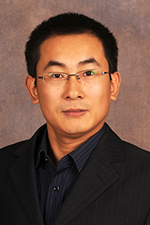 Relue is professor and undergraduate program director in Toledo’s Department of Bioengineering. 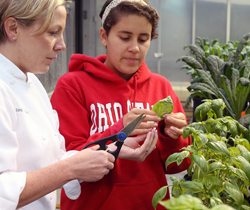 Attend in 219 Agricultural Engineering Building, 590 Woody Hayes Drive, on Ohio State’s Columbus campus; or in 108 (Old) Administration Building at CFAES’s research arm, OARDC, 1680 Madison Ave., Wooster. Details: hadlocon.1@osu.edu. Morten Damm Krogh takes a firsthand look at food deserts and urban farming around Cleveland in a great read on the German Marshall Fund Blog. He features the work of Morgan Taggart of CFAES’s outreach arm, OSU Extension, who showed him around on his visit. “To be perfectly honest,” he writes, “I saw more of America’s food future in the struggling neighborhoods in East Cleveland than I did in the corn and soybean fields of Nebraska.” Krogh is a special adviser for Denmark’s Ministry of Food, Agriculture and Fisheries and a fall 2014 European Marshall Memorial Fellow. 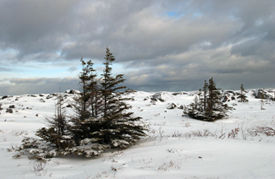 Tonight: Cold, really old and a future foretold?